After a difficult night on motorway in Slovenia, we leave to the discovery of the South of the country which is much less touristy. 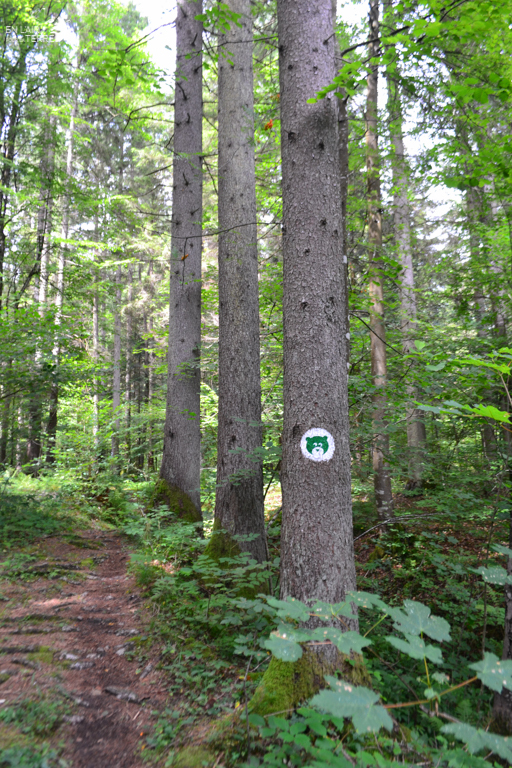 We start with a trip to Ribnica then we take gravel logging roads to explore the surrounding forests in the car looking for bears. After climbing to the top of the mountains down without noticing any Teddy bear. We’re looking at the tourist office to find out what for hikes to observe animals. 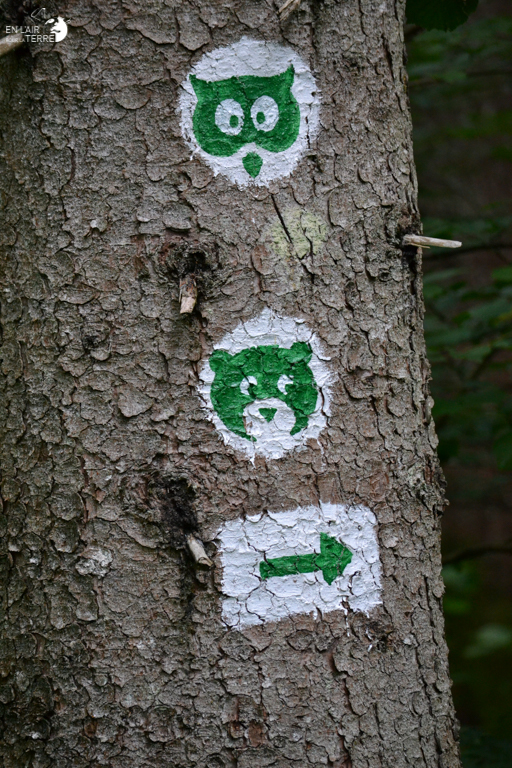 There is a bear trail to observe the bears right next to the village of Kocevje. 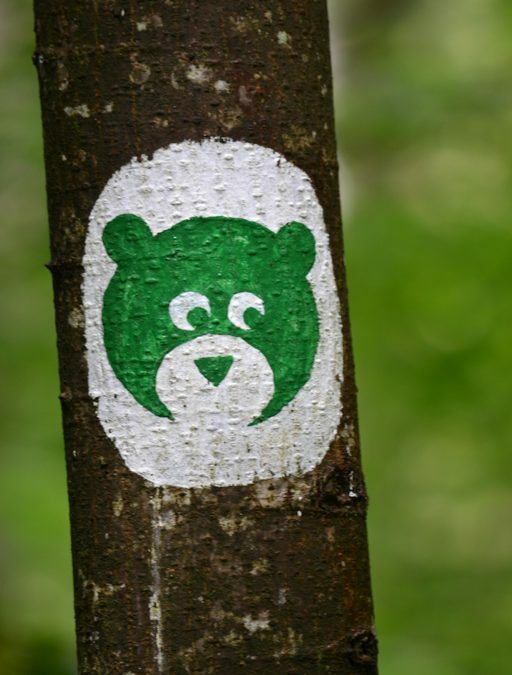 As it is very hungry we eat at the edge of the forest and the bear trail of pancakes with honey story to attract bears. Well belly fills one follows marking in mind to bear on the trees. The trail is short but here there is everything that is necessary for a bear: water with the river and a pond but also berries short the perfect place to chill if you’re a bear. Unfortunately, we are little lucky, and we see nothing. We leave empty-handed to another trail, more away from houses and roads. 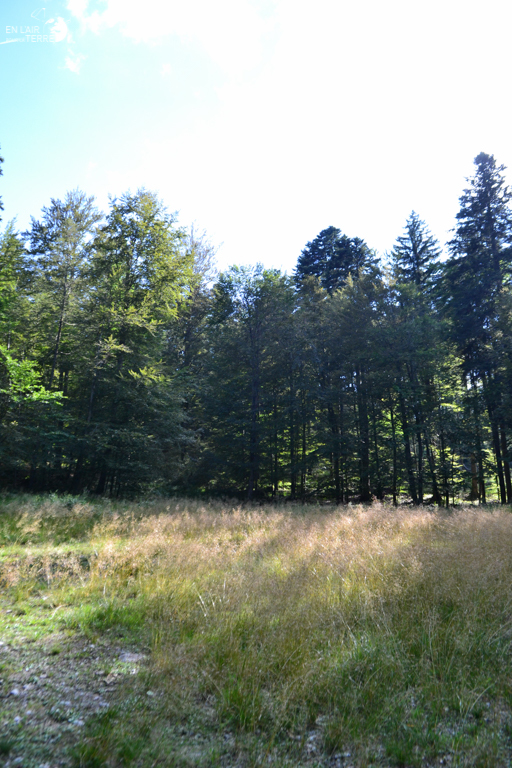 We go up into the mountain and Park to a private bivouac camp. There fatigue we win and we do a little NAP in the car. Wake up we fall face to face with 4 from french of the Ain, who carry big bags to back. Well discussed and finally they say we be looking for the bear just like us. 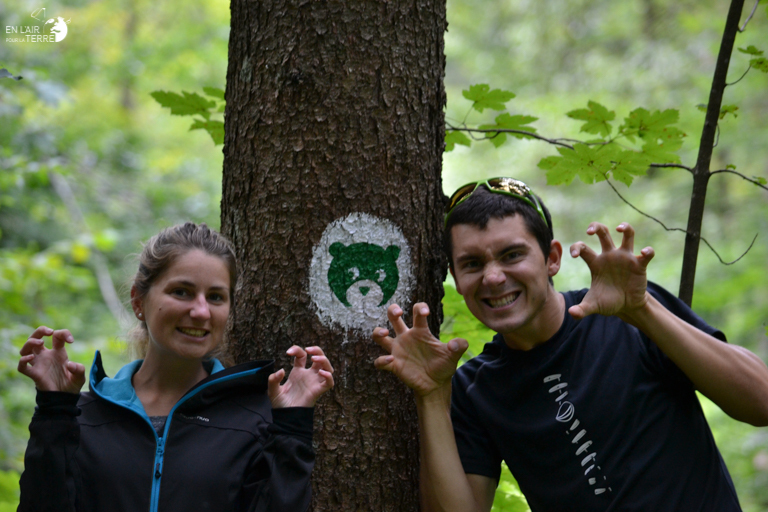 Definitely there is only the french who crave danger to go on an adventure looking for bears. We say that the first to see a bear must warn others to share this moment of happiness. 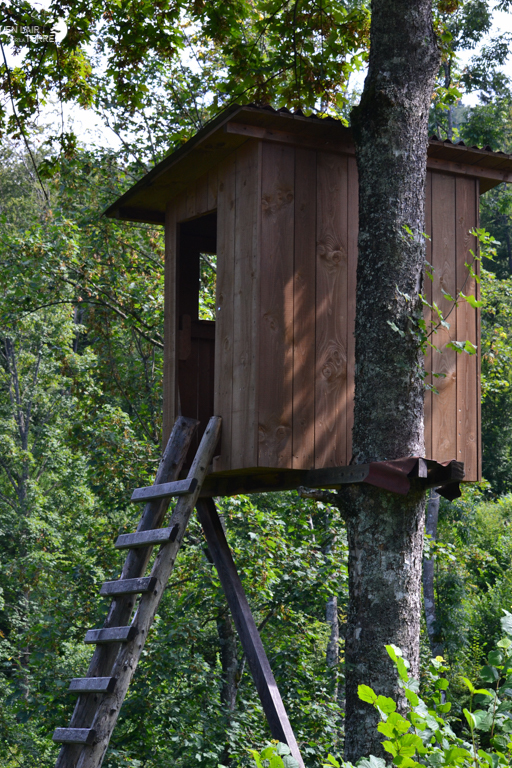 To leave because they take management of the reserve and huts in the trees to observe others and we we’ll climb to the top of Lenik. In the meantime we meet camp owners that we offer to use their camp fire to make the meal and also tell us that an elderly bear lives here and that can be you will have the chance to meet him. 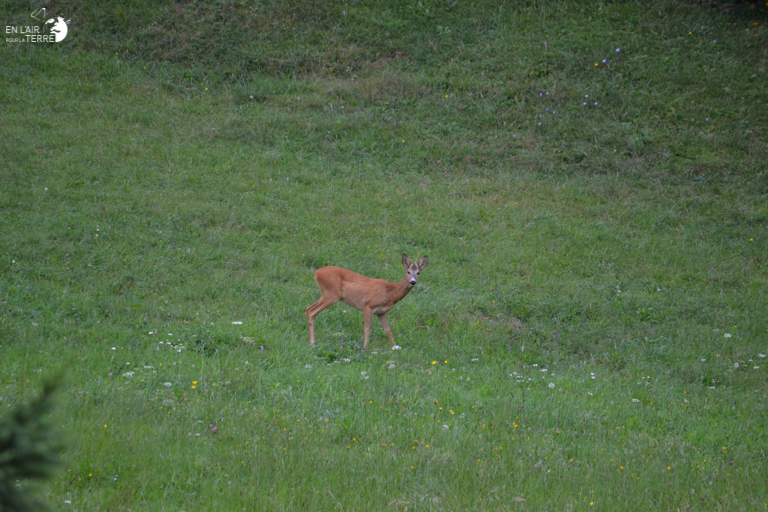 We hurry therefore to go looking for him, but too late, he’s already gone and we can observe that its borrows in the wetland. Ascension is fast, there are paths everywhere, this forest is a real cheese, and yet we don’t see many people on the way and the same person. Once at the top there is a book for our coming, and when you read the names of those who have preceded us, this goes back to 10 days which really proves that this forest is very very crowded. Back to the car it recrosses the french who have set up their camp. It joins them to chat and share some peanuts, pancakes, beer and pastis. They tell us that they all have a BTS protection of the nature of the shot they are super hot on all animals that’s great. They are also looking for a cool to observe. After the meal we leave because the road to Croatia is waiting for us. This evening was beautiful and awesome. 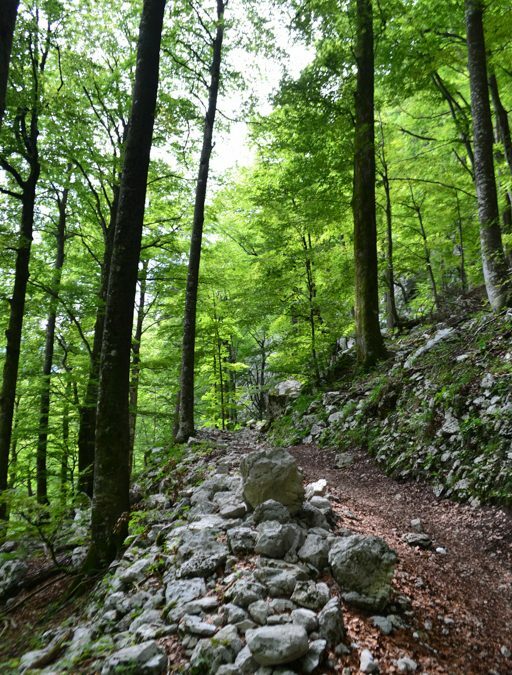 After much hesitation to embark on the ascent of Triglav, we gave up because: first, we cannot find any information on this hike on the internet or the number of kilometre the height and or if it must be equipped to the last part of the hike when it comes to the Trigav from the refuge. Secondly, we are not really ready to carry huge bags and sleep in a shelter since my knees ache. 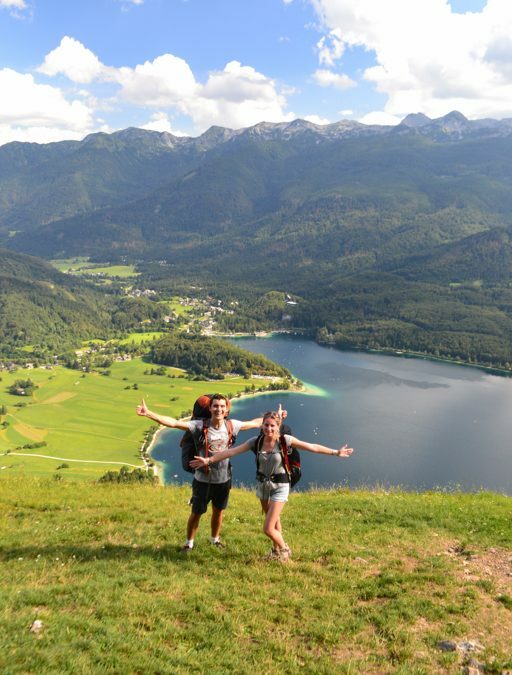 What we would like is rather to do this hike in 1 day. Finally, third, bad weather and the threatening storm make us renounce this magnificent ascent. 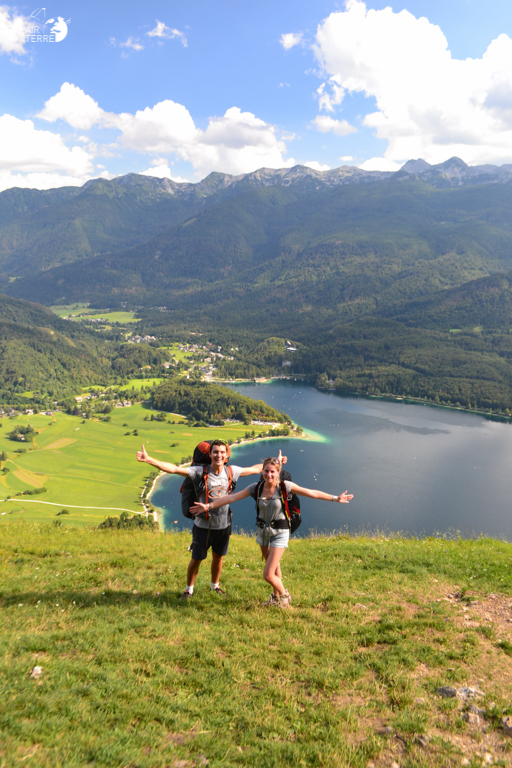 Finally, we fall back on a slightly less long hike to still have a nice view of the Julian Alps. 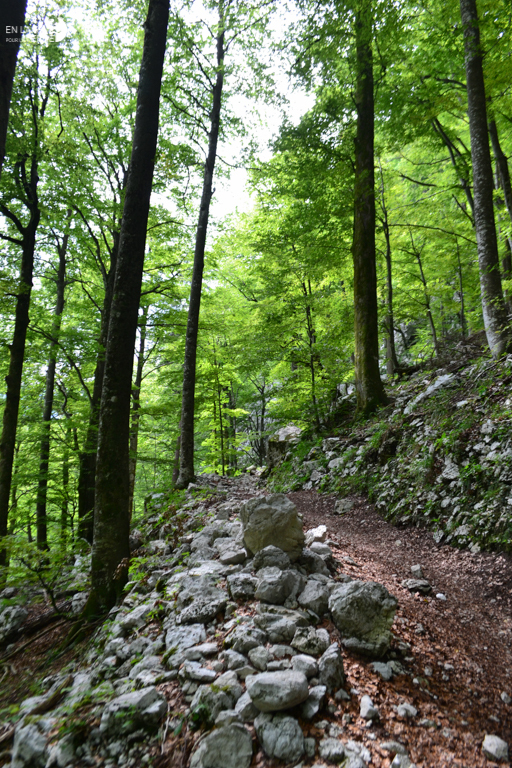 Therefore, we choose the hike that goes up to the refuge of Dom na Komni. We do eventually 900 meters in height and 6.5 km. 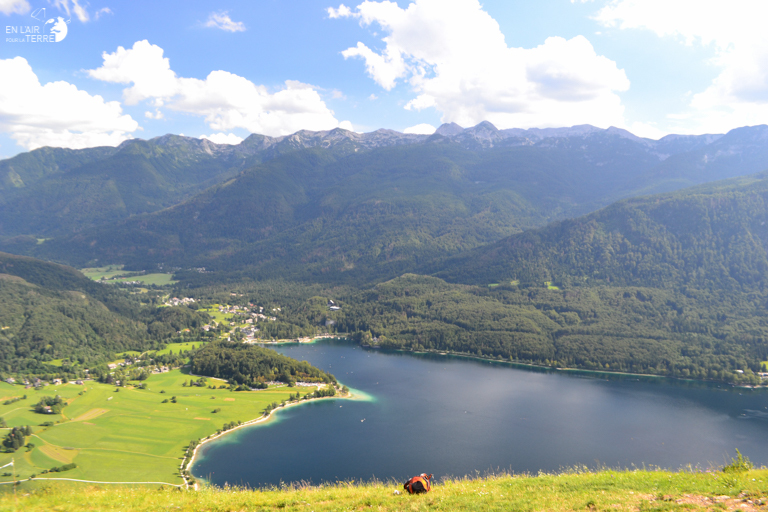 At the shelter we have a view of the Lake of Bohinj and vertices that lie on the right side of the Lake. We picnic before the rain and get back. This hike really beautiful is on a path that looks very much at home, we still allowed to fly and not too take the rain. On the way down, the rain stops and the Sun returns. We decided to go swimming in the River to a place that they had spotted the day before along the road. Just after the bridge which spans the River on the way to the Lake of Bohinj from Bohinjska Bistrica (route 209), there is a sunken and wooden picnic table, a metal ladder attached to the rock which lets get down into the river. At this point, there is no current and a few people canoeing. 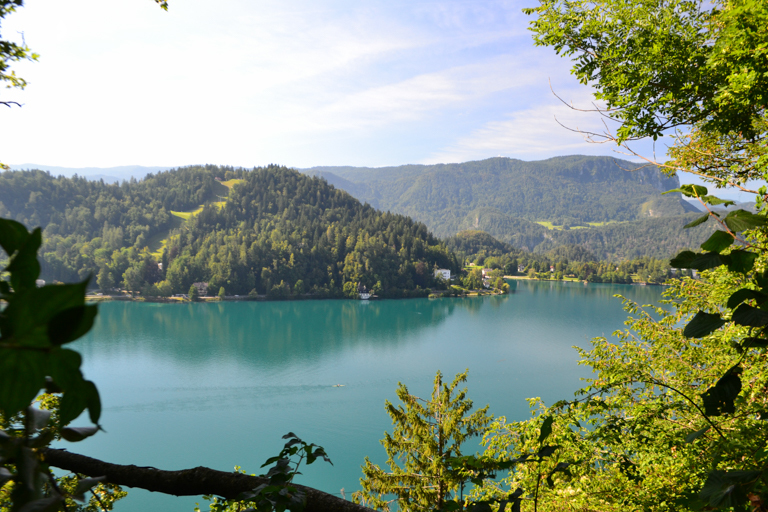 The water is a little cooler than in the Lake, but this huge natural swimming pool is great for a swim. Besides, a lot of tourists cars, stop next to ours to look at us with envy and amusement. 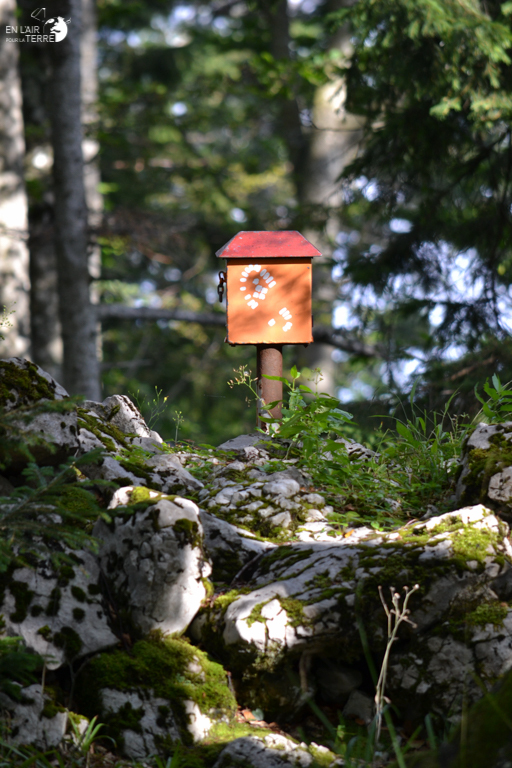 Bohinj, marked the arrival in the Triglav National Park. 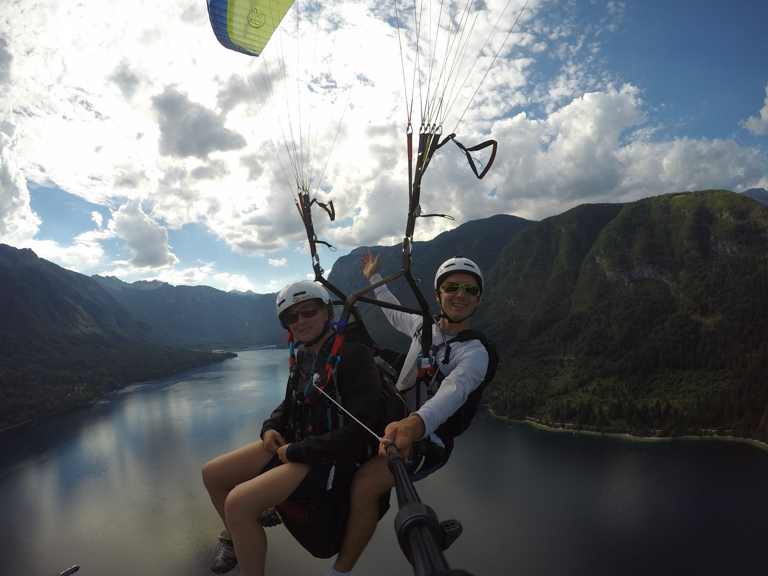 Caught between the mountains of the Julian Alps, Bohinj also has its Lake and its paragliders. Upon arrival immediately spotted by the way Nicolas sails over our heads. So we’ll inquire local pilots on flight nearby sites on landing. 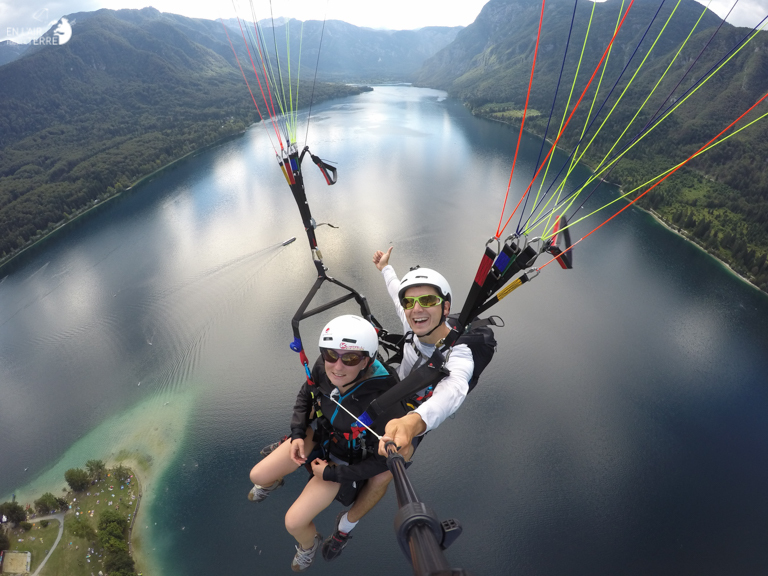 They show us a hilum and fly fast enough to 400 m above the Lake to Vogar. So here we party with our bags Kortel enroute to take-off. The trail is very steep and tedious heat but this flight is going to be great because it’s a beautiful day and also because the reward for our arrival is a good swim. On the decoration we meet a french come on vacation, it is very intrigued by our tandem paragliding and film our takeoff. In flight, we’re trying to take heat but remains as the Sun is already moving behind the mountain, down pretty quickly. Just enough time to make a few wings and being asked. Barely landed, a tall blonde comes to talk with us and ask us the 2 euros of tax to have landed here. With Nicolas, we’re very surprised by this system. She explains while in Slovenia, around the parks such as the Triglav, the regulations are very strict and many things are paid. It takes as an example a friend of hers who had gone to make a cross and that took off from a non-official landing to land in a field any and who had posted the video of this flight on YouTube. Unfortunately, the owner of the field where he landed has watched this video and has warned local authorities that he sent a fine of 500 euros for having landed outside an official take-off and 500 euros for having landed on a non official landing, makes it still expensive cross. 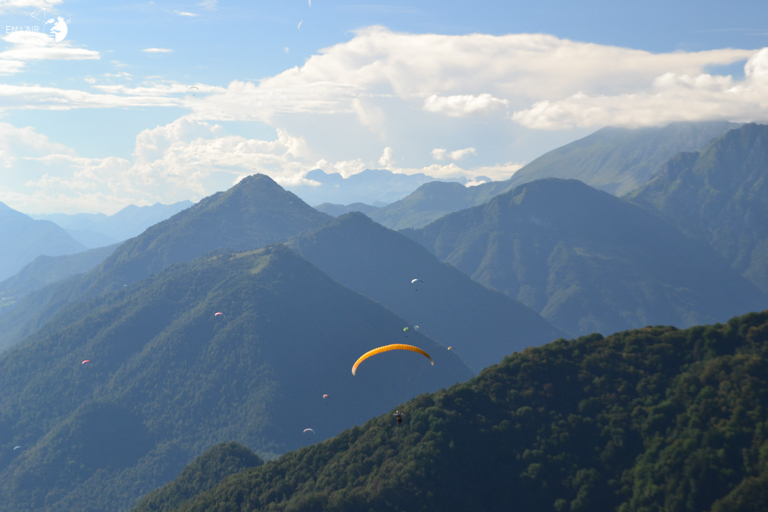 This is why, can crosseux paragliders are trying to go through the Triglav in flying. After this interesting discussion we empties into the Lake which is really hot. However, Nicolas must go back to get the car running because our parking ticket ends soon. 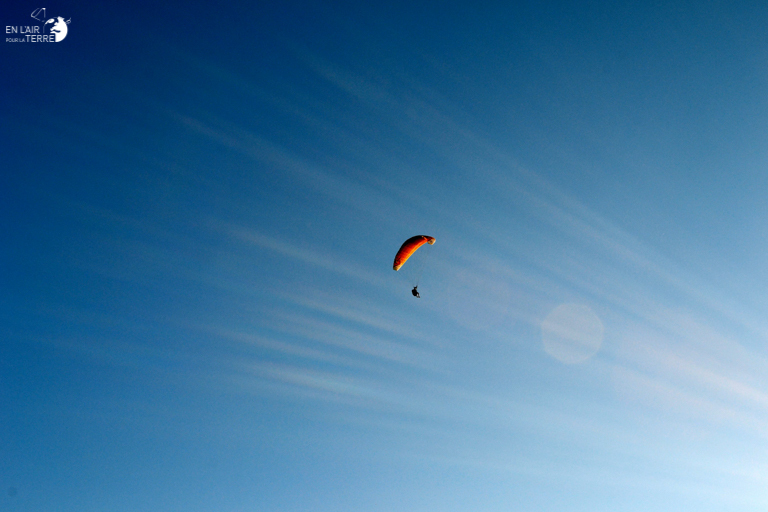 So I expect him to the edge water with the paragliding equipment. When he returns, he tells me that all the cars in the parking lot got stick on their glass of almonds, either because they had no ticket because they exceeded their parking time. So says the Slovenians don’t laugh really with parking tickets! All those who were parked outside the parking places are also took an almond. 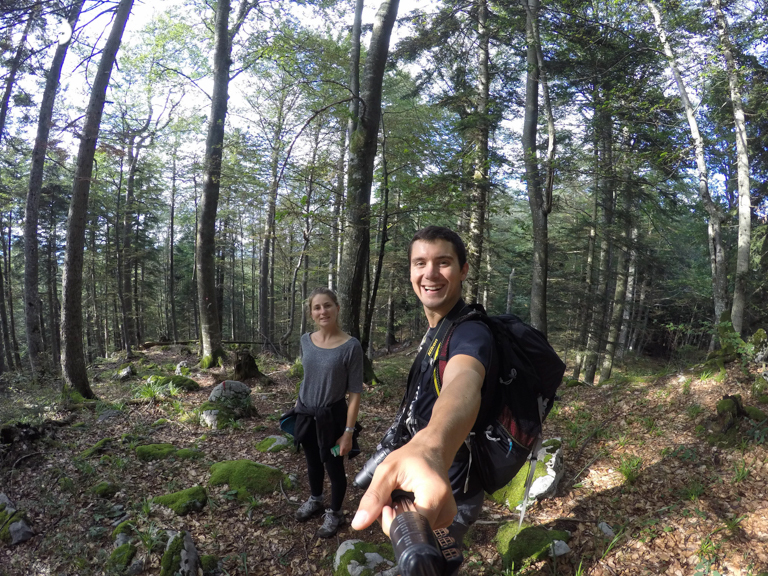 Amazing, especially since that’s Party Slovenian trekking. In the evening, to do not risk getting pulled over by the police for any camping, we prefer play the security card and take a night in a place for camper at 10 euros. The next morning after a great night to the station to Bohinjska Bistrica, think it was a very good idea to sleep in this place and to ask a little without having to stress out. When it comes to town, it is still early, so we meet few people around the Lake which is perfect to take beautiful photos. 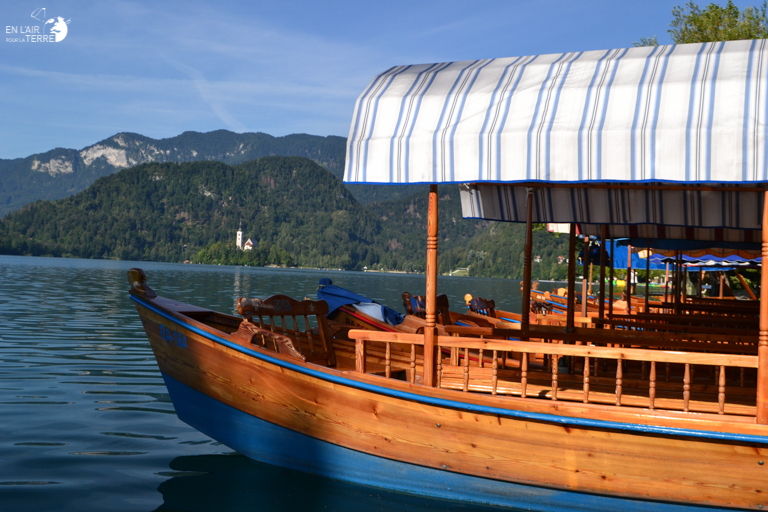 All around the Lake is laid out so that you can enjoy the scenery “postcard”. There is even a photo in a heart enough unlikely but fun. 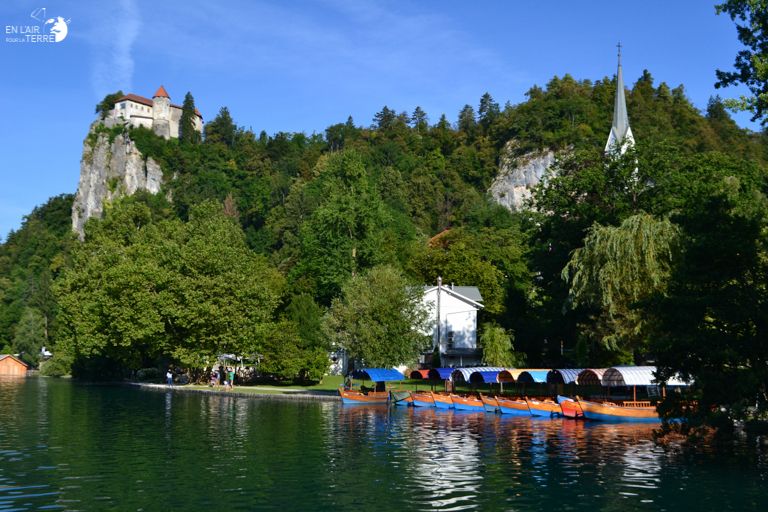 We also go up to the Castle but the entrance is a bit expensive (10 per person) for what there is to see (from others) so we prefer to visit a church that is your beautiful and walking on the trails bordering the Lake. 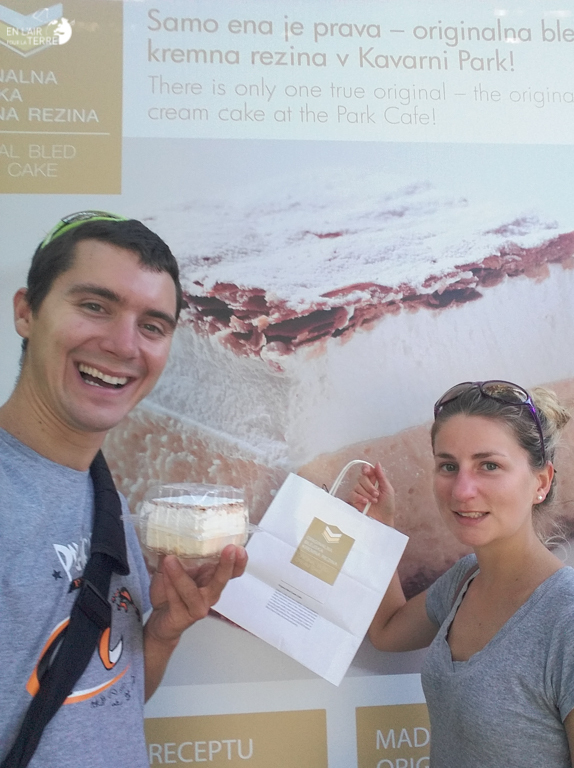 By walking, you start to get hot and hungry so you buy a local specialty “originalna blejska kremna rezina” cake or the Bled cream cake, which is a specialty of the Park hotel since 1953. 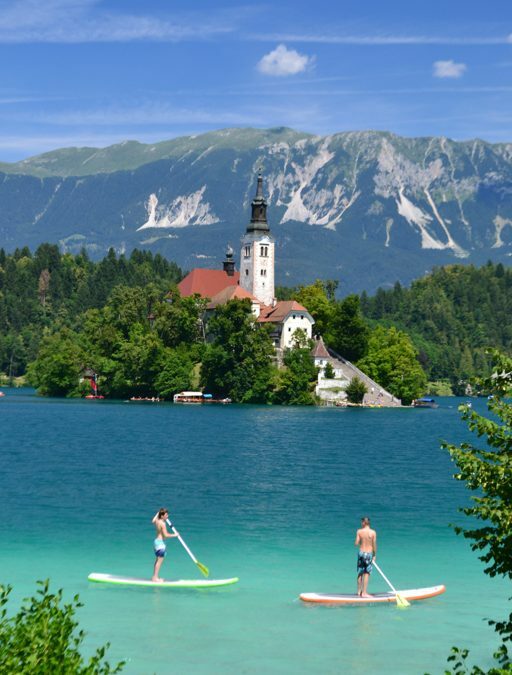 After a good meal we go swimming in Lake bled in the face of the island. It is unclear if this is allowed to stand on the grass but Tampa water is so beautiful and attractive and certainly bearable heat we’ll be right in the water.